Tropical rain forests are unique global assets, it is therefore imperative that they are responsibly managed in order to generate sustainable incomes for the communities that depend on them for their livelihoods. Iwokrama started its sustainable timber harvesting operation to demonstrate the wise use of forest resources through low-impact harvesting. The Centre has developed a model of ownership and responsibility, involving the private sector and forest-dwelling communities as stakeholders and shareholders in the business. Iwokrama employs a polycyclic, silvicultural harvesting system which is based on the selective harvest of 20 species on a 60-year cutting cycle. The average annual harvesting area is about 1,800 ha (less than 0.5% of the forest) which will result in only a few stems per ha (5-6 trees per ha) being removed and no large gaps created in the forest canopy. To validate the use of best practices, Iwokrama has achieved international certification of its forest management practices and operations by the Forest Stewardship Council® (FSC®). Iwokrama achieved certification for forest management in October 2016 for the second time. Since October 2016, Iwokrama has successfully passed two surveillance audits and continues to continues to employ environmental, social and economic best practice. FSC® certified forests are forests managed with consideration for people, the natural environment and wildlife. 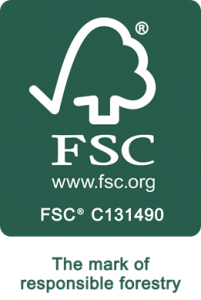 Visit the FSC website for more information on FSC Certification. Additional information has been included on High Conservation Value Forests.